Mark and Mallary said “I do” at the beautiful Quail Ranch in Simi Valley. 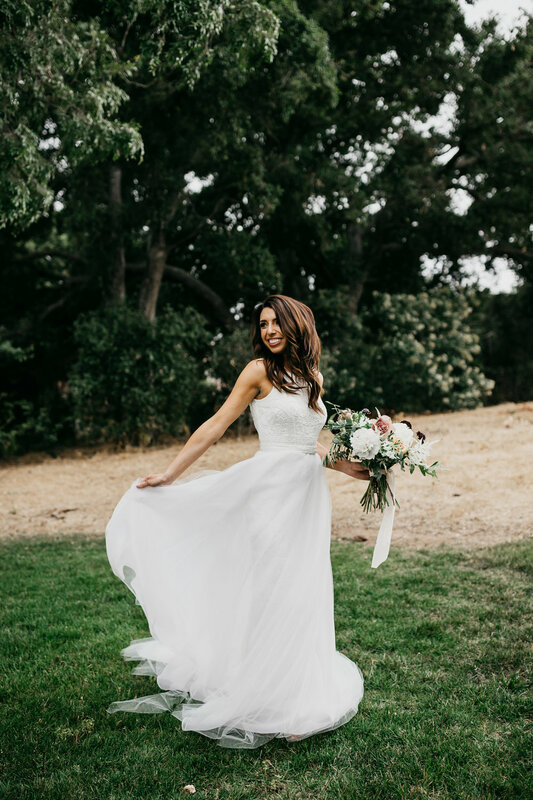 The vivacious couple chose this Californian Historic site as the backdrop to celebrate the deep love that they have for each other- complete with soft whites, natural woods, and beautiful florals provided by Root 75. The love these two have for each other radiated from each person from the second they saw each other at the first look (yes, those are tears in his eyes from happiness) to the final sendoff among their friends and families. The couple was able to share a special moment of reading each other their vows during the first look which allowed the couple to recommit, in private, the true reason they were celebrating that day. Each event was perfectly captured by photographer, Nicole Leever. 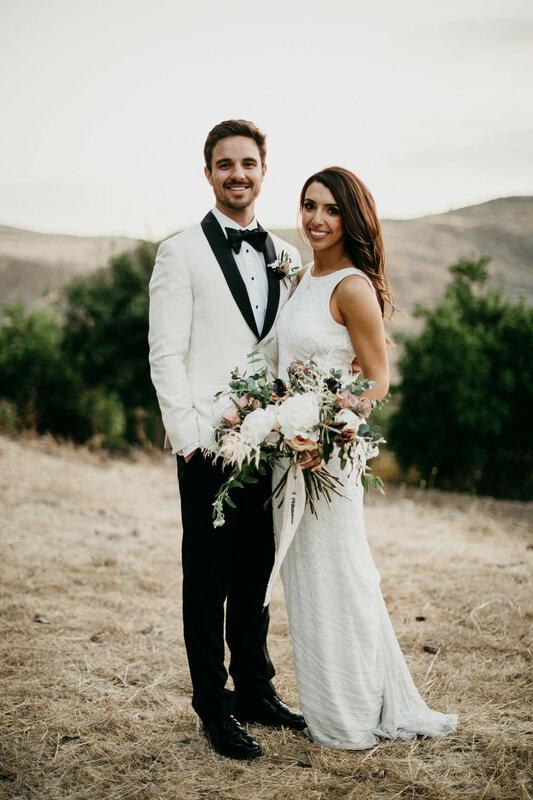 Each detail of the wedding spoke perfectly of this dreamy couple. The contrast of the florals and jalapeno-whiskey summed up each aspect of their fun, loving, and spicy side. What was almost as sweet as the couple was the beautiful donut table they set up for their guests to enjoy under a beautiful chandelier. They even gave a variety of choices for their guests to enjoy different donuts and signature cocktails. The guests had just as much fun celebrating the fun couple, as we did carrying out this beautiful wedding.